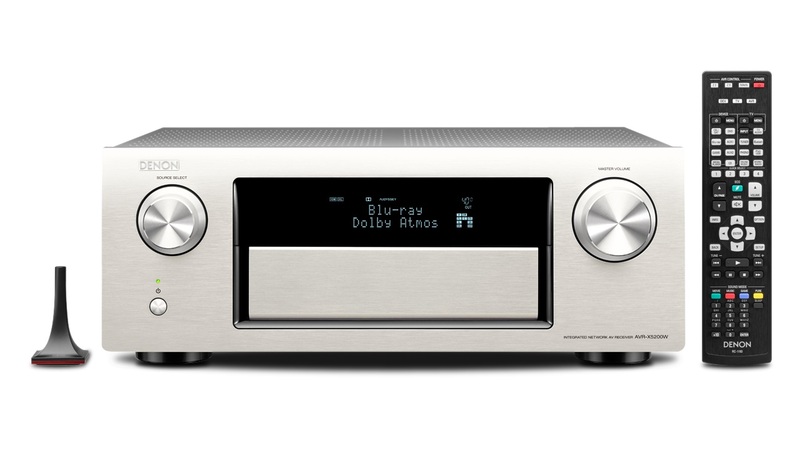 Denon AVR-X5200W is a 9 channel AV-Amplifier with up to 140 Watt for each channel. AVR-X5200W supports many audio formats. Below you find a list of the most important audio formats with a short description of each format. 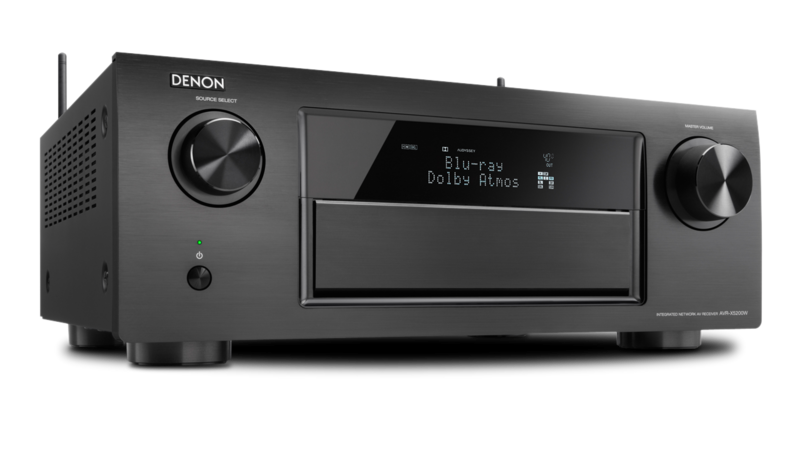 DTS Neo: X is DTS sound system that the first time expands the number of channels from 7.1 up to 11.1. DTS Neo: X allows for extra height and width in the front channels. For amplifiers with 9 channels you must choose if you want extra width or height. Dolby Atmos is the latest audio format where using loudspeakers in the ceiling or special speakers with own elements angled toward the ceiling can get an experience of some of the sound coming from above. To achieve the best possible sound reproduction in a home theater setup AVR-X5200W is equipped with automatic room correction that adjusts a number of parameters based on measurements made using an included microphone. Noise level of each speaker automatically adjusted along with delay based on the placement of speakers. In addition adjusted frequency response of each speaker so that it fits the room and speaker. The specification for the equalizer for the main channels are 9 bånds, while it is - for the subwoofer channel. The room correction technology that AVR-X5200W is equipped with is Audyssey MultEQ XT32 that is developed by Audyssey, a firm that specializes in developing sound processing to many of the major manufacturers of AV-amplifiers. Audyssey MultEQ XT32 is the most advanced processing from Audyssey. To get the best possible bass reproduction in your home theater setup AVR-X5200W has individual bass handling of the different channels. That means you can set different value for lowpass filter for each speaker group. The low pass filter can be set to a wide range of frequencies. The available frequencies are 40, 60, 80, 90, 100, 110, 120, 150, 200, 250Hz. AVR-X5200W is equipped with ISF Video Calibration. This means that one can do advanced calibration of the video signal that goes through the amplifier. This means that you can achieve optimal calibrated image on the connected projector or television although these do not have good calibration possibilities. AVR-X5200W is equipped with a wide range of connection option for video sources. 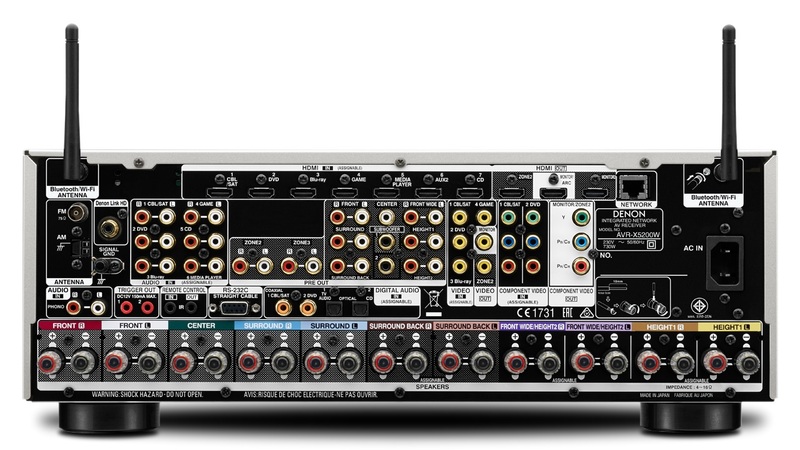 It has 7 HDMI, 3 component and 4 composite inputs.It also has 6 RCA inputs for analog audio connection and 2 optical digital inputs and 2 coaxial digital inputs. The amplifier is equipped with 11.2 RCA preout output so that it is possible for connecting power amplifiers to achieve full 11 channel setup in addition to active subwoofer. 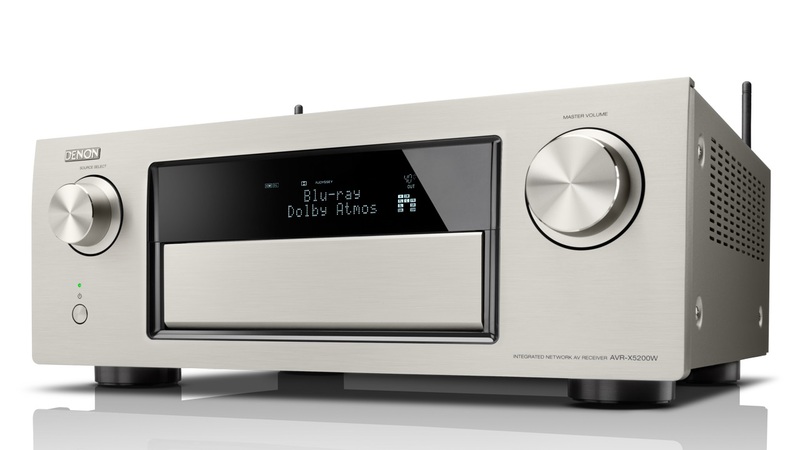 Like many other amps AVR-X5200W have embedded multimedia functionality that reduces the need for PC and other computer components in your setup.Playback of audio files is possible from the network or from USB. To see details of the audio formats that are supported see technical specifications. AVR-X5200W allows for playback in multiple rooms, with different sources for each room. For stereo playback the amplifier is rated to provide 2 x 140 Watt with measuring method RMS, 20-20.000Hz, 8 ohm, 0.05% THD and for multi channel up to 9 x 140 Watt by measuring method RMS, 20-20.000Hz, 8 ohm, 0.05% THD.In setups where there is no need for the integrated power amplifier for the surround back channels can these power amplifiers in AVR-X5200W be configured so that the front speakers are bi-Ampet with two amplifiers for each front speaker (separate amplifier for bass and treble / midrange). With audio processing for 11 channels and power amplifiers for 9 channels this amplifier has the following possible speaker configurations. It supports 9.1 with front height and width as a 5.1 setup where you have added two speakers in front height and 2 extra speakers in front for extra width. In this way one obtains better "3D sound". It supports 9.1 with front height which is a 7.1 setup where you have added additional front height speakers. It supports 9.1 with front width which is a 7.1 setup with extra width channels in front. It is developed own applications to control AVR-X5200W from IPhone, IPad and Android. This allows you to control the amplifier without using the supplied remote control. Applications can be loaded from the App Store or Android Market. When AVR-X5200W is connected to the network it can be controlled via a Web Browser from any computer that has access to the network. Through browser you have access to control most of the functions. AVR-X5200W is in sale and the lowest price that is observed is kr 13,998,-. Use the links to price engines on the right side to find the cheapest stores.